In 1985 the idea for Faultline Festival was born as a result of yet another discussion in the Market Bar/Dores Inn about how little there was to do in Inverness and the result of this discussion was “well why not do something ourselves?” The idea took hold and a committee was formed to look into the serious possibility of running a week long festival in 1986. The first stop was the Highlands & Islands Enterprise Board to see if any funding was available and after a visit by Marion Urquhartand Martin Coull, lo and behold, a three year grant was offered. Next we decided on the format and name for the Festival. We decided to pull on our strengths and contacts and so came up with the idea of a central venue for the week (The Old High Church Hall – cheap and cheerful to rent and available to use as a café/drop in centre for the week) to host our art exhibition, along with other local artists and photographers. The next ideas came from two local summer events which were very tartan tourist orientated and which we decided to give our own twist to – as in The Kilt is our Delight which played to packed audiences the whole summer at The Cummings and Show of the North which, from memory did the same from the Northern Meeting Park. Our take of course was alternative so became The Kilt is our Demise, an entertainment and cabaret evening, and the Shock of the North which was a show case for bands, both national and local. Along with this we added in a play at The Spectrum Centre which ran for two nights. Amazingly things came together pretty well and our first year saw packed audiences (as a result of relentless vocal advertising via word of mouth, interviews on Moray Firth Radio and extensive postering throughout Inverness and the surrounding area. Even more amazing we made a profit of around £300 which it was decided to donate to the local branch of the Samaritans. 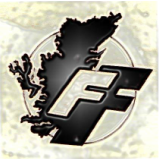 On the back of the success of 1986 we continued for the next four or five years with the full festival, adding new nights such as films, jazz, poetry and ceilidh nights eg Folk at Fault, Heilean Ho Down. Through hard work by everyone involved we enjoyed good audiences for lots of events and even though the main Festival lapsed after 1991, the Faultline name continued on via band nights at The Railway Club for many years to come, in fact until it was demolished, and then through The Raigmore Motel and finally various one off events at other venues in Inverness.